The new Mii Summer Collection is here. 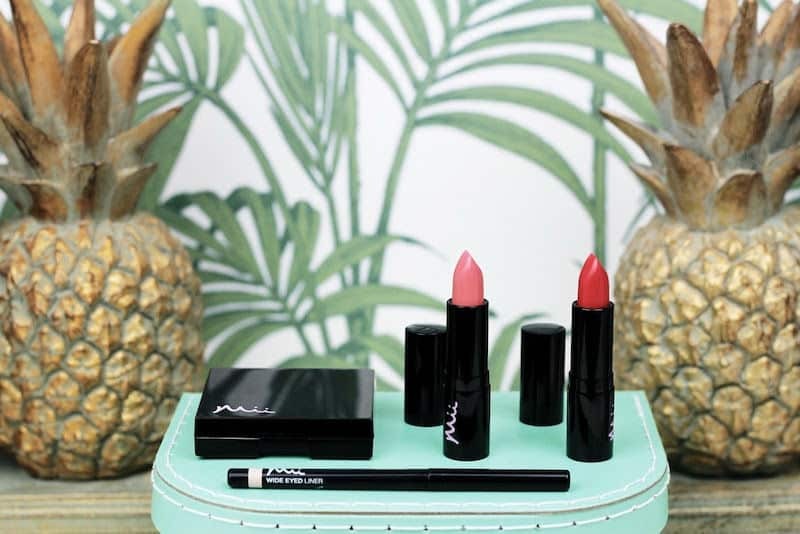 Tropical Daydream offers exciting pops of summery colour consisting of the Celestial Skin Shimmer (a gorgeous shade of blush), £27.50, the Wide Eyed Liner (a new white liner, brilliant for brightening and widening eyes when used on the waterline), £13.00, and the Passionate Lip Lover available in two shades, Sunburst and Sunblush, £14.95 each. Feeling the holiday vibes?